Fabric: 40% Poliamidica, 35% Viscose, 25% Microfibra. The Made in Italy Wass Jumper is crafted from a beautifully soft fabric with flattering boat neckline and long sleeves. 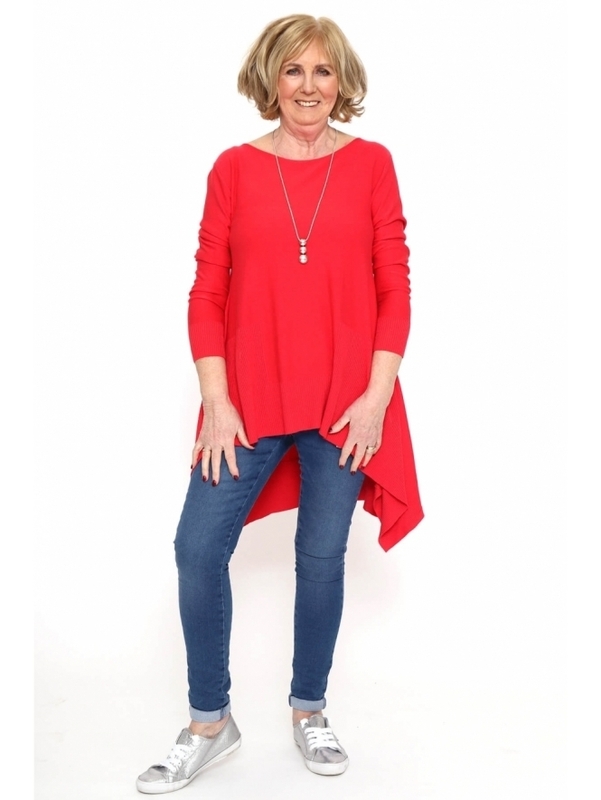 This Made in Italy Jumper has a dipped hemline to the side and looks great when styled with jeans. The Made in Italy Wass Jumper is also available in other colours.